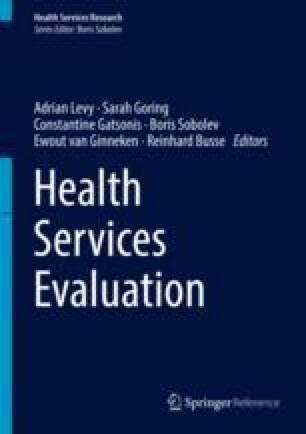 This chapter discusses the Mexican health system. We first describe the general characteristics of Mexico and the health conditions of the Mexican population, with emphasis in noncommunicable diseases, which are now the main cause of death and disability. The following section is devoted to the description of the basic structure of the system: its history; its main institutions; the population coverage; the health benefits of those affiliated to the different health institutions; its financial sources; the availability of physical, material, and human resources for health; the delivery of personal and public health services; the stewardship functions displayed by the Ministry of Health; and other actors. This part also discusses the role of citizens in the monitorization and evaluation of the health system, as well as the levels of satisfaction with the rendered health services. In part three, the most recent innovations and its impact on the performance of the health system are discussed. Salient among them are the System of Social Protection in Health and the Popular Health Insurance. The chapter concludes with a discussion of the most recent health initiatives and reforms, and a brief analysis of the short- and middle-term challenges faced by the Mexican health system. Central Intelligence Agency. The World Factbook. North America: Mexico. Available at: https://www.cia.gov/library/publications/the-world-factbook/geos/mx.html. Accessed 14 Oct 2013. Chhabara R. Making the most of the Mexican pharma market. Available at: http://social.eyeforpharma.com/marketing/making-most-mexican-pharma-market. Accessed 17 Oct 2013. CNNExpansión. Mexicanos adquieren pocos seguros: AMIS. Available at: http://www.cnnexpansion.com/economia/2009/05/18/aseguradoras-suman-el-17-de-pib. Accessed 15 Oct 2013. Comisión Federal de Protección contra Riesgos Sanitarios. Home Page. Available at: http://www.salud.gob.mx/unidades/cofepris/notas_principal/rimonabant.html. Accessed 15 Oct 2013. Comisión Nacional de Arbitraje Médico. Home Page. Available at: http://www.conamed.gob.mx/main_2010.php. Accessed 15 Oct 2013. Comisión Nacional de Protección Social en Salud. Sistema de Protección Social en Salud. Informe de Resultados 2010. Available at: http://www.seguro-popular.salud.gob.mx/images/pdf/informes/Informe_Resultados_SPSS_2010.pdf. Accessed 15 Oct 2013. Comisión Nacional de Protección Social en Salud. Sistema de Protección Social en Salud. Informe de Resultados 2012. Available at. http://www.seguro-popular.salud.gob.mx/images/pdf/informes/InformeResultados-2-SPSS-2012.pdf. Accessed 15 Oct 2013. Crónica. Tiene México el mayor número de beneficiarios en salud: FCH. Available at: http://www.cronica.com.mx/notas/2010/541852.html. Accessed 15 Oct 2013. Dirección General de Evaluación del Desempeño, Secretaría de Salud, México. Misión. Available at: http://www.dged.salud.gob.mx/contenidos/dged/mision_vision.html. Accessed 15 Oct 2013. Dirección General de Información en Salud, Secretaría de Salud, México. Misión, visión y objetivo. Available at: http://www.dgis.salud.gob.mx/acercade/misionvision.html. Accessed 15 Oct 2013. Massachusetts Office of International Trade and Investment. Mexican pharmaceutical industry. Available at: http://www.moiti.org/pdf/Mexican%20Pharmaceutical%20Industry.pdf. Accessed 15 Oct 2013. National Center for Health Technology Excellence. Mission. Available at: http://www.cenetec.salud.gob.mx/descargas/folletoingles.pdf. Accessed 15 Oct 2013. OECD. OECD Health Data 2013. How does Mexico compare. Available at: http://www.oecd.org/els/health-systems/Briefing-Note-MEXICO-2013.pdf. Accessed 16 Oct 2013. OECD. OECDiLibrary. Pharmaceutical expenditure. Available at: http://www.oecd-ilibrary.org/social-issues-migration-health/pharmaceutical-expenditure_pharmexp-table-en. Accessed 17 Oct 2013. OECDiLibrary. Health: key tables from OECD. Practising nurses. Available at: http://www.oecd-ilibrary.org/social-issues-migration-health/practising-nurses_nursepract-table-en. Accessed 16 Oct 2013. Organization for Economic Cooperation and Development., OECD StatExtracts. Available at: http://stats.oecd.org/index.aspx?DataSetCode=HEALTH_STAT. Accessed 15 Oct 2013. Sistema Nacional de Información en Salud, México. Información por temas. Available at: http://sinais.salud.gob.mx/estadisticasportema.html. Accessed 15 Oct 2013. The World Bank. Gini index. Available at: http://data.worldbank.org/indicator/SI.POV.GINI. Accessed 14 Oct 2013. The World Bank. Data. GDP growth (annual %). Available at: http://data.worldbank.org/indicator/NY.GDP.MKTP.KD.ZG. Accessed 14 Oct 2013. UNDP. International human development indicators. Mexico. Available at: http://hdrstats.undp.org/en/countries/profiles/MEX.html. Accessed 14 Oct 2013. World Health Organization. National health accounts. Mexico. Available at: http://apps.who.int/nha/database/StandardReport.aspx?ID=REP_WEB_MINI_TEMPLATE_WEB_VERSION&COUNTRYKEY=84027. Accessed 15 Oct 2013. World Health Organization. National health accounts. Available at: http://www.who.int/nha/en. Accessed 15 Oct 2013.